Whether you had stored it intentionally or you have totally forgotten about an old stash, you’re probably wondering if weed could go bad. The truth is that cannabis doesn’t expire. However, although it doesn’t have an expiration date, that doesn’t mean that cannabis will not lose its quality over time. Technically, cannabis doesn’t go bad in the sense that it will have negative effects on the user when it’s consumed after a long time. It will not poison you or trigger a negative impact on your body. However, its potency could decrease, especially if it’s not stored properly. Even the most diligent user could misplace a small bag of stash that they have recently bought. But after several months, this stash will appear out of nowhere. The problem is that it’s now looking a little bad. Instead of the once vibrant green buds, the weed now appears slightly brown and a bit disheveled. Thus, you find yourself wondering, can you still smoke it even though it’s already several months old? First of all, people should understand that cannabis is not food. Therefore, it will not make you feel ill if you consume it after it has already gone bad. For as long as your stash hasn’t developed bacteria or mold, smoking it is still safe. The key is to ensure that it has not been contaminated or that it hasn’t acquired any mold. Remember that smoking contaminated weed could lead to potential problems and should best be avoided. It’s also important to store the weed properly if you don’t intend to consume it soon. If the weed is properly stored, you can still consume it months or even years after it was harvested. It’s also important to know that despite looking the same, the plant’s overall chemical structure may have significantly changed over the years, depending on how well the stash is stored. If you want to prevent your stash from becoming dried out and result in a non-psychoactive experience, proper storage is the key. Choose the right containers that are specially designed to limit the exposure of cannabis to UV light, heat, and oxygen. This can somehow help to prevent the degradation of THC, which is the component responsible for the psychoactive effects. Proper storage can also help keep your cannabis fresh for longer. As such, there’s no longer a need to panic about not finishing your stash in one go. It’s also important to note that the length of time that the cannabis will maintain its quality is yet to be determined. 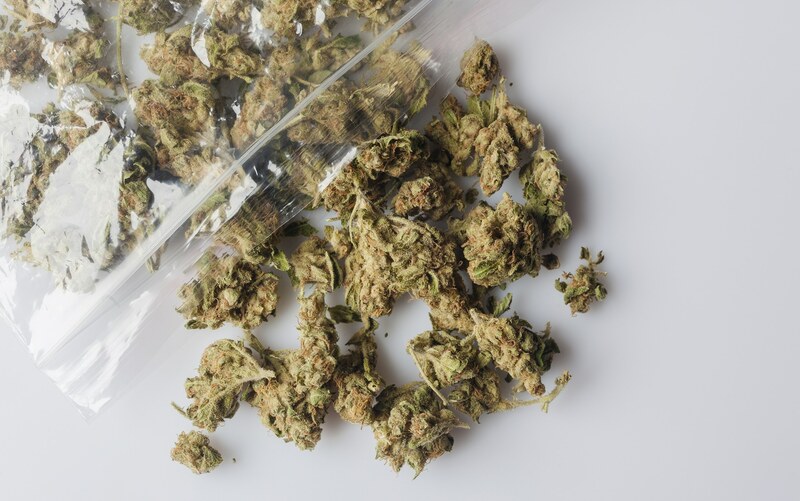 Therefore, it’s always a good idea to visually inspect the weed that you have stored from time to time, especially if you intend to store it for an extended period of time. Basically, cannabis doesn’t come with an expiration date. However, it could go bad over time, especially if you don’t store it properly. Previous PostPrevious Can CBD Give You the Munchies?